Case in point: our 1974 BMW 2002, or "M2" as we call it at Classic Car Club. It needed some exhaust touch-up welds, so our mechanic "GJ" Dixon grabbed his welder and happily obliged. 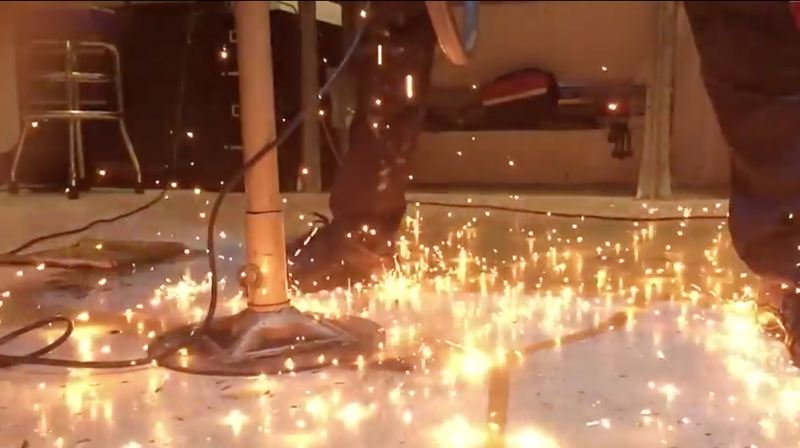 What you're seeing in the video is excess metal from the welder's wire electrode actually melt and explode as it hits the ground, all at 240 frames per second. Don't forget to "subscribe" on YouTube for more Classic Car Club content.